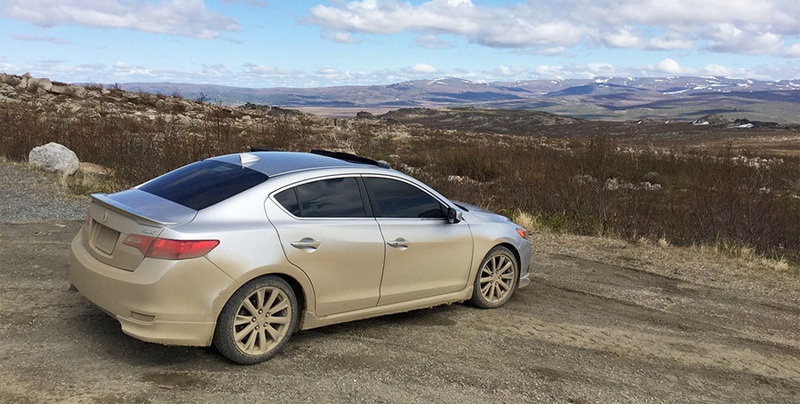 Tyson Hugie is putting his 2013 ILX 6-speed to the ultimate durability test with a two-week drive from Arizona to Alaska and back. 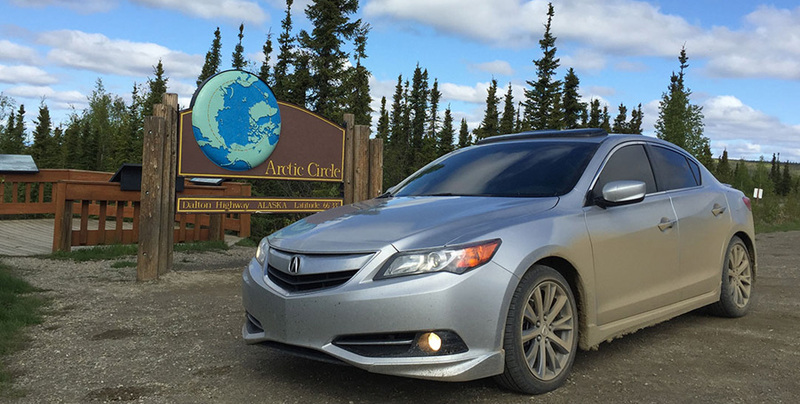 Yesterday, some 3,871 miles from his home in Phoenix, he arrived at the Arctic Circle. 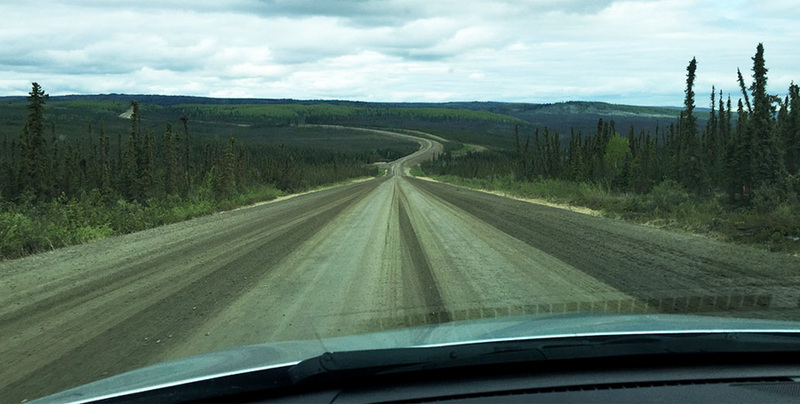 It’s an area so far north that one day per year, the sun never sets, and one day per year, the sun never rises. 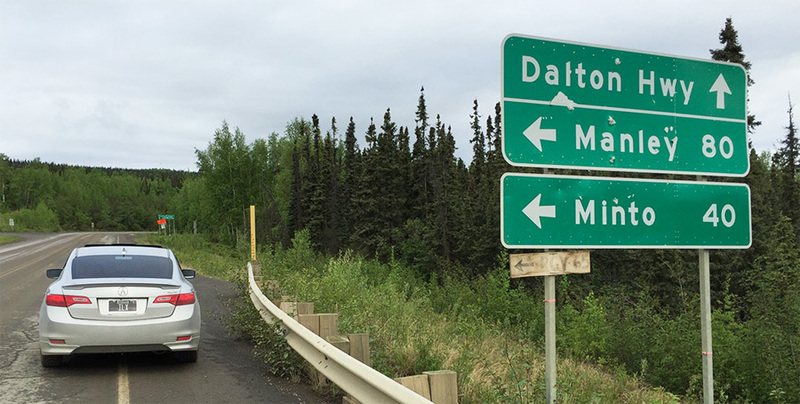 At times the winter temperatures there reach 80 below zero Fahrenheit. 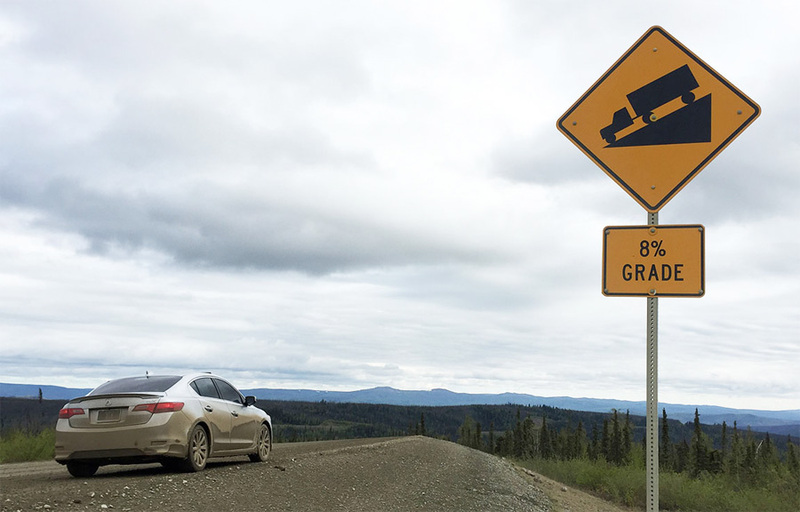 The roads leading up to the Arctic are rough and un-paved; it’s a four hour drive north of Fairbanks to get there. 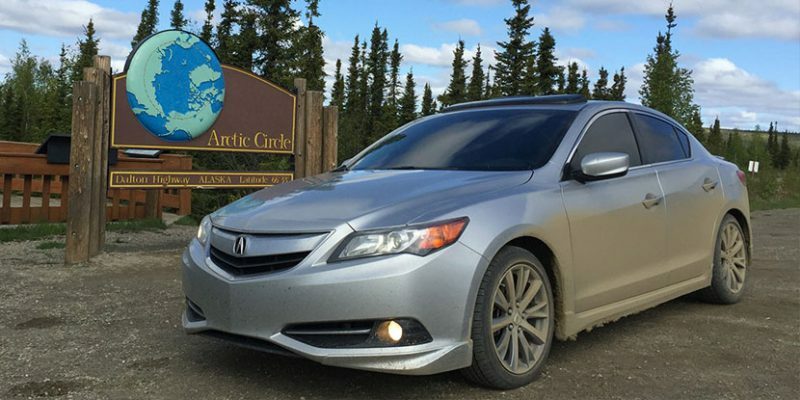 Check out Tyson’s experience in his now 167,000-mile ILX here: Drive to Five – I Drove to the Arctic Circle!